Two masters of the art come face to face and battle wits, brawn, and skill to win their meet and emerge victorious. While that could be a description of an instance at the Olympic Games, it is really an observation of the game of chicken being played out now between Russia and the International Olympic Committee. Who will blink first and cave into the other’s will? On the one side you have the Russians with team leader Putin. Their goal is clear. They want it all. They want to oppress LGBT people into nonexistence, and have the rest of the world complacently back off as they do so. On the other side, you have the International Olympic Committee (IOC), who seem to recognize the need to protect and honor human rights, or at the very least, understand that trying to adhere to the Russian oppression over their population of outspoken athletes would be dangerous. Celebrities from Stephen Fry, to Harvey Fierstein, from Madonna to Lady Gaga—all with visibility but no power—have decried Putin and described his actions as reminiscent of an early Hitler before the world knew they had the opportunity to stop him, but didn’t. Then, there are those who do have power. President Obama stated on the Tonight Show that he has “no patience” for Russia’s anti-gay laws. Olympic officials C. K. Wu and Richard Carrion have declared being “cross” and having “ire” toward Russia respectively. Both condemn discrimination on the part of host cities and vow to make sure that it ceases . . . sometime . . . in the future. Despite pressure from the International Olympic Committee, Russia’s Interior Ministry has promised to enforce the law. The ministry claims that people who “do not commit such acts [to promote homosexuality to minors], do not conduct any kind of provocation and take part in the Olympics peacefully” are not at risk for arrest. The minister did not address the fact that the law allows the police to arrest tourists and foreign nationals they suspect of being homosexual, lesbian, or ‘pro-gay’ and detaining them for up to 14 days. A spokesperson for the International Olympic Committee in the meantime retreated, not to find the best solution, but to find one that could be rationalized within the Olympics Charter. “‘Regarding your suggestions, the IOC has a clear rule laid out in the Olympic Charter (Rule 50) which states that the venues of the Olympic Games are not a place for proactive political or religious demonstration. ‘This rule has been in place for many years and applied when necessary. ‘In any case, the IOC would treat each case individually and take a sensible approach depending on what was said or done,’” Gay Star News was told. Did you see that? The IOC just blinked. Game over. Win for the Russian regime. 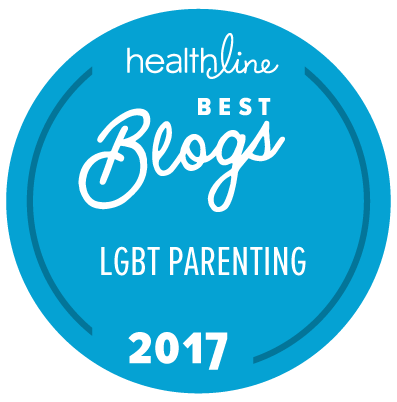 As a gay dad, I want to deal with issues that affect my sons’ world, and this one does so in a huge way. There are parents in Russia, just like me, who are having to flee their country to survive. If I did not speak up, I would be heinously remiss. Here is my open letter to the International Olympic Committee. First, I want to say that I appreciate your difficult position. Pulling off an event the magnitude of the Olympics is nothing short of a miracle. For it to start, continue, and end, even in a suboptimal way, is in itself an “Olympic” feat. There are more logistics, finances, and organization required than most of us can imagine, and we, the fans, are the beneficiaries of your hard work. That said, we need to talk about one core fact. You and I are both parents. I am the fortunate father of eleven- and ten-year-old sons. You are the parent to thousands and thousands of aspiring champions. I give my sons guidance, nurturing, love, and principles, and strive to help them grow up to be the best that they can be. You do the same to the enormous population in your charge. My sons are starting at a new school in the fall. I’m a bit nervous. They will be encountering new people, strangers. These people may not welcome who they are. They may bully them when they find out the kind of family they come from. I have decisions to make in terms of protecting my children and preparing them as to appropriate ways to react. Your children will be starting at a new venue in February. You have more information on your situation than I do on mine. You already know that any of your children who are gay, lesbian, bisexual, transgender, or pro-LGBT are at risk. (That is a very, very, very big number of human beings.) A big, bad Russian bully has made it clear that he has it out for them. The question is, what are you going to do about it? 1. Don’t Run Away from Your Problems: Running away never solves the issue, and, if anything, it gives fuel to the thing wishing to do you harm. Bullies must be confronted and wrongs must be made right. Just because you find a loophole path to take does not mean you should take it. If you think there are Olympic principles worth caring about, fight for them. Otherwise, they are not worth the Hallmark cards or pop musical anthem CDs you market to publicize them. 2. Be Fair: If you are tempted to ask LGBT athletes, fans, and staff to hide who they are, to conceal their romantic and sexual identities, then do so for all. Heterosexual wedding bands and engagement rings must also be hidden from view at all times. Heterosexual hand-holding, kissing, and affection must be also categorized as propaganda and a political statement violating section 50. Any establishment in which budding heterosexual activity is encouraged must be forbidden. It is going to be a cold Saturday night in Sochi that week. 3. Above All, Keep Your Children Safe: Losing patience? Feeling cross with pangs of ire? None of those cut it when you are a parent and your children are threatened. You do not negotiate with the bully, especially when he keeps jerking you around. You do not have wiggle room when it comes to those in your care, those who have entrusted their lives to your protection and your sphere of guidance. You have a duty. You have a responsibility. You have a calling. You are a global parent on whom millions rely. Right now, you are a negligent parent, derelict in your duties. If there were a Child’s Protective Services agency big enough in this universe, I would call them on you. Unfortunately, there is not. As a gay dad, I love my sons more than life itself. I will go to any lengths to protect them, make them proud of who they are, and encourage them live up to the principles that will give them the highest possible sense of honor. I am a mere mortal. You are named for the gods and should have infinitely more moral fortitude than I do. Start behaving like it. In short, quit acting like the irresponsible pansy-assed victim. And move the damned games. Now. I agree 100% with you Rob. I hope they read your letter and at least respond. It appears they are not changing the venue. Sad to me that the Olympics don’t seem to care.